How can you cut a cheese round into 8 pieces with only three cuts? See image below for three cuts needed to divide a cheese round into eight pieces. 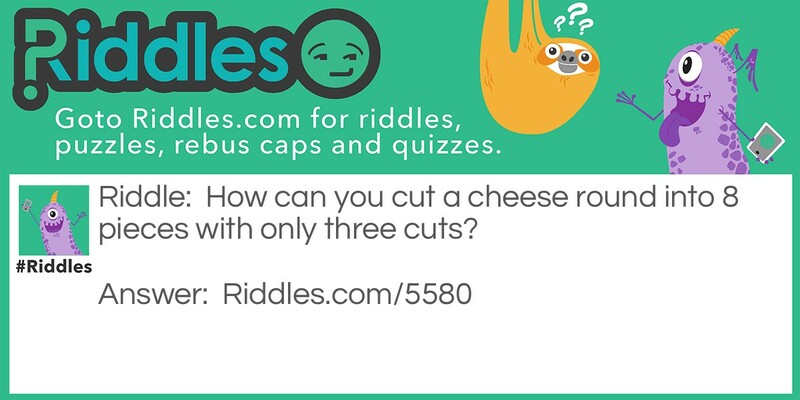 Cheese Round Riddle Riddle Meme with riddle and answer page link.